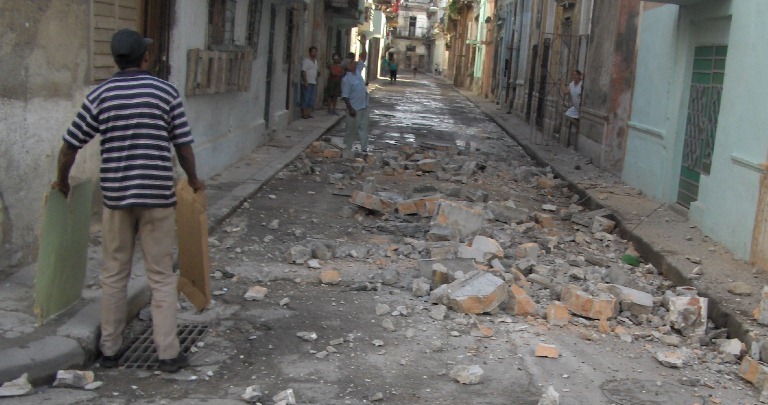 It’s no secret to anyone that the Cuban capital is falling to pieces. It’s enough to walk around any part of the city to observe the death throes of an urban landscape that is becoming blurred, its buildings disappearing under the combined pressure of time and neglect. No municipality escapes the decline. 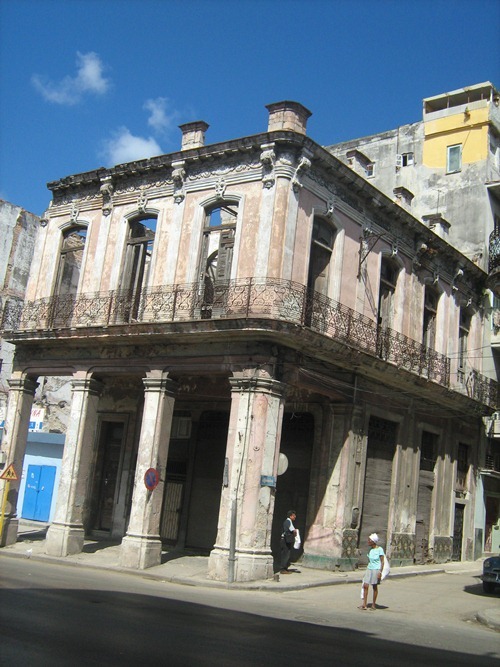 There are ruins or pre-ruins from the ancient Old Havana — despite enjoying the partial benefits derived from its patrimonial grace and the museum-tourist interest efforts of the City Historian — to the once aristocratic Miramar, of course, saving the marked differences between both areas. 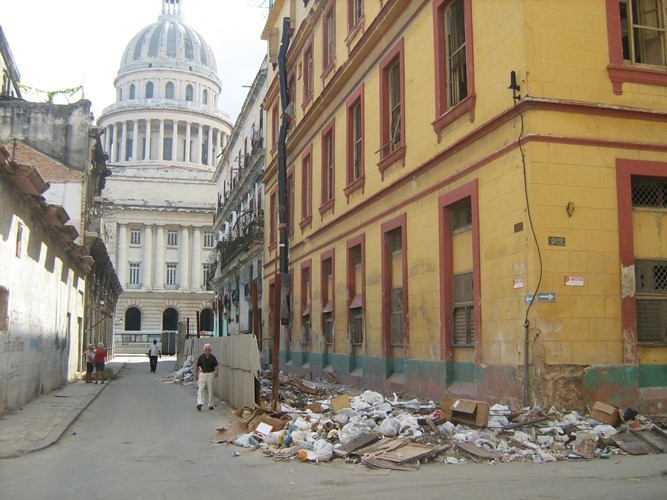 Nevertheless, we can affirm that Central Havana is the municipality displaying the worst state of the buildings. Perhaps because it is the smallest on the whole Island, the most densely populated, the one with the most ancient buildings contained within its small geography and, fatally, the one of least interest to official purposes. 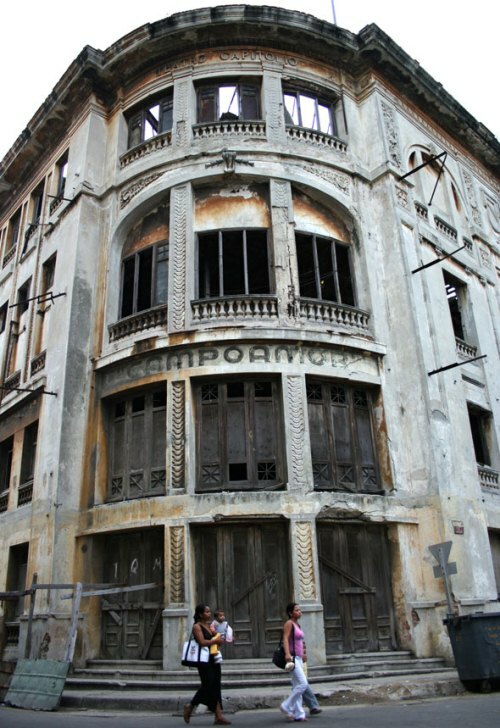 In Central Havana, in addition, a multitude of multifamily buildings from the first half of the 20th century crowd together, old rooming houses and guest houses in precarious condition and almost completely unmaintained, and old shops, worm-eaten theaters and other rundown spaces. 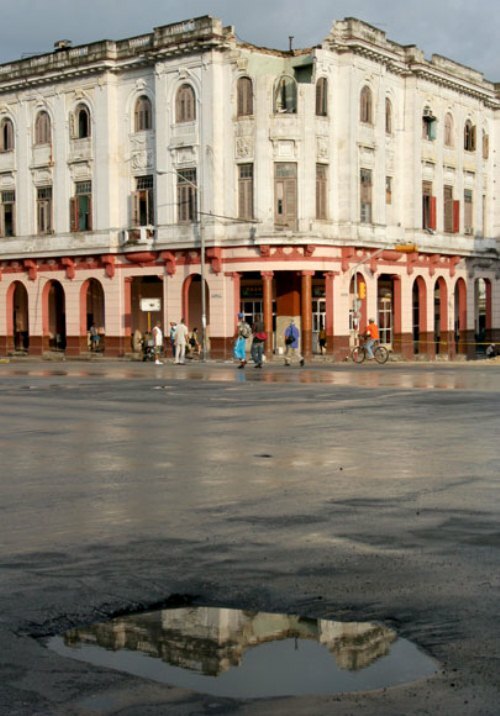 A commercial area during the Republican period, the accelerated deterioration of old businesses and fleabag hotels, many of them closed and propped up, adds a grim note to an urban node that seems marked by misfortune: Central Havana, crowded with inhabitants, right now seems a municipality condemned to disappear. It’s enough to walk down any of its crowded streets to feel surrounded by this kind of agony of crumbling bricks, peeling plaster, broken sewers, an environment of filth, overflowing trash bins, unpainted buildings, debris, the intense odor of accumulated poverty, at times ill-concealed by the efforts of this or that stubborn resident, who tries to maintain the little piece that he or she miraculously and precariously inhabits safe from the extinction that is upon us. 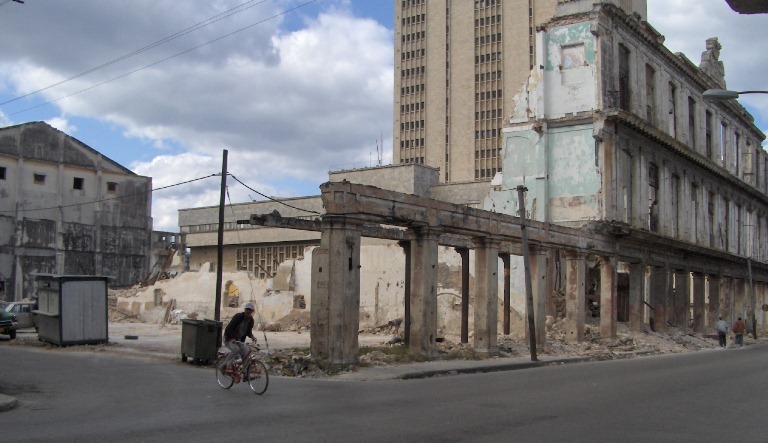 Only a miracle could save Central Havana, but where would it come from? Perhaps from God? From the government-executioner itself? From its wretched people? There are ever more buildings that succumb and fall to the ground, usually taking with them the life of some stubborn resident who refused to give up his home. Ever more vacant spaces are opening in its neighborhoods and in the hopes of its inhabitants. 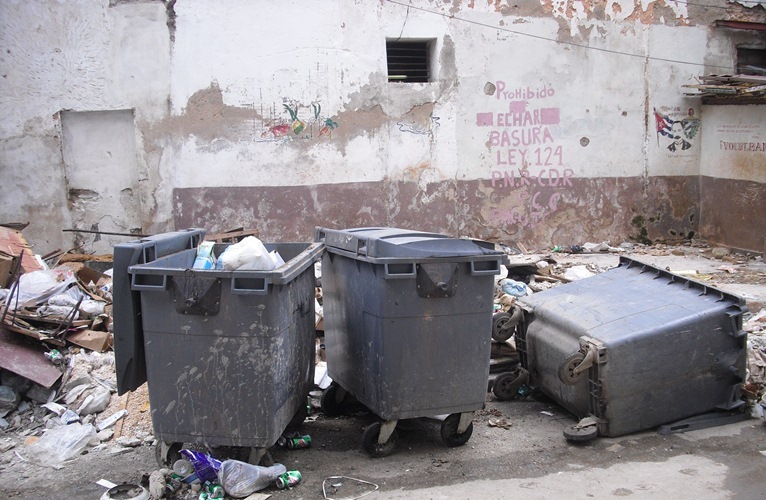 It’s true that all of Cuba is dying and succumbing to despair, but today I want to dedicate this complaint, almost a requiem, to the municipality where I live. Allow me to show my readers, in just a few photographs by me and my friends Orlando Luis Pardo and Dimas Castellanos, some images of the landscape that greets my eyes every day and that says much more than any of my words. Take them as an insignificant sample of the immense destruction achieved by more than 50 years of government abandonment and contempt. Here they are. 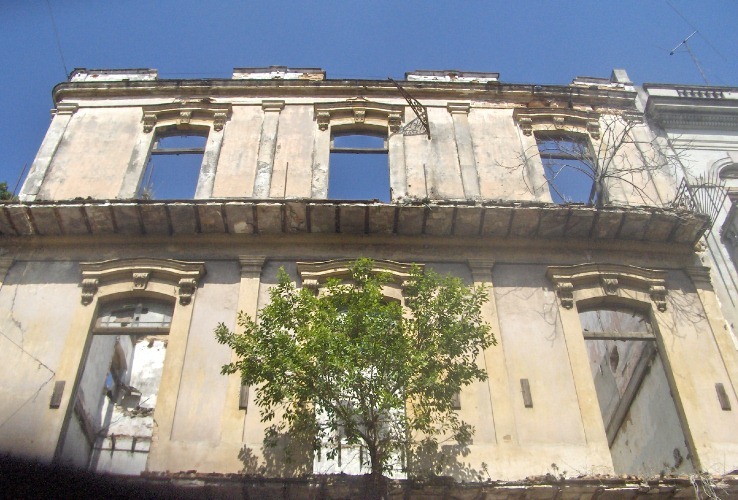 Typical Building in Central Havana. 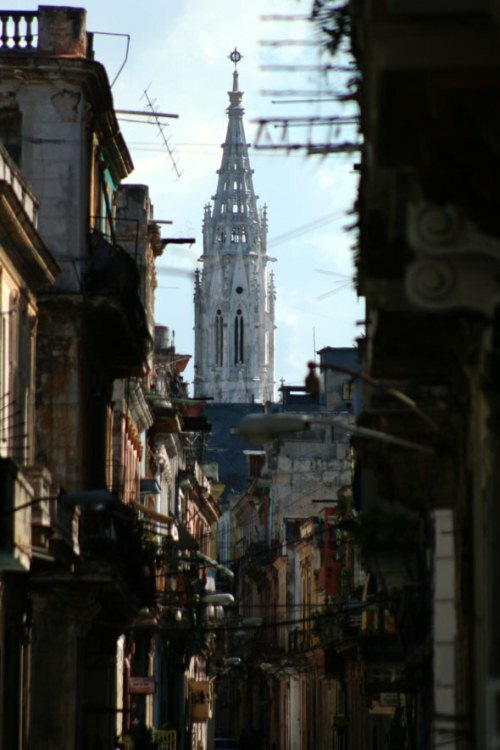 Reina Street. This school year my grandson César began the first grade. He is pleased with the expectation of learning to read and write, but above all he is very excited that soon he will get his blue bandana and become another “pioneer for communism,” like his father 28 years ago, and like his confrontational grandmother a long time before that. Struck dumb for a moment, absorbing the bad effect, I surprise myself seeking the stupidest consolations in the world: at least it’s not an ode to the Unnameable, or to the Argentine who murdered so many Cubans with impunity… although I recognize this is a fool’s comfort; before and after, the Revolutionary catechism includes in the program those two protagonists in the sainted olive-green, and there will be other bad poetry, and there will be slogans and ritual perfidies. Then I was assaulted by the old memories of my own initiation into the Pioneers, when I was the same six-years-old that César is today, and walked gap-toothed and happy about the nearness of my bandana, blue and white then, on the light gray blouse of my elementary school uniform. 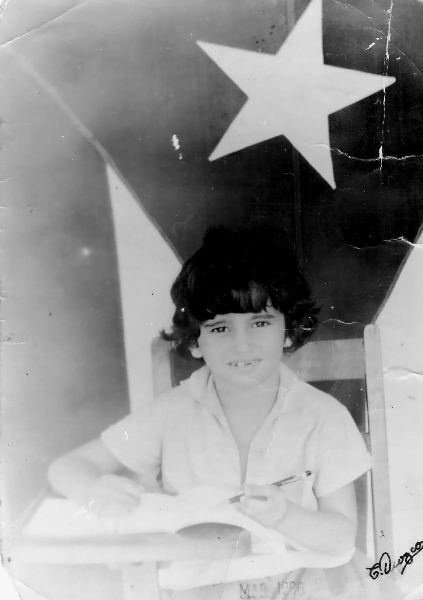 A photographer came to the school to take pictures of the kids aspiring to the Pioneers, seated one by one at a desk in the school courtyard with an enormous Cuban flag as the background and a pen in hand, as if we were writing the application form, although hardly any of us knew how to write even a little. Because then it was an essential requirement to aspire to the Pioneer organization and to receive authorization from our parents, who had to sign this form giving us their consent, before we could belong to it. In the span of 48 years some details have changed. For example, in my generation membership in the Pioneer organization was not mandatory, the Pioneer stage was limited to the elementary school years, the bandana was only worn for certain dates and ceremonies, and the textbooks weren’t so overwhelmingly ideological. But basically the content of the organization has always been the same: to establish mechanisms of social control in service to the government, beginning with the manipulation of the conscience of the great masses from very young ages. Thanks to this method, eminently fascist, most of those individuals were subject, if not to the ideology itself, at least to passive submission, acceptance. For children, however, being Pioneers does not represent a political-ideological affiliation, which in effect it is, rather the bandana is a sign denoting belonging to a school, a group of friends and classmates, who share learning, games, common interests. The bandana says “they are big,” they already know how to read and write or are close to having this knowledge. They ignore that they will receive, between poetry, readings, mottos and slogans, the systematic official brainwashing that their parents and grandparents born under this regime received before them. 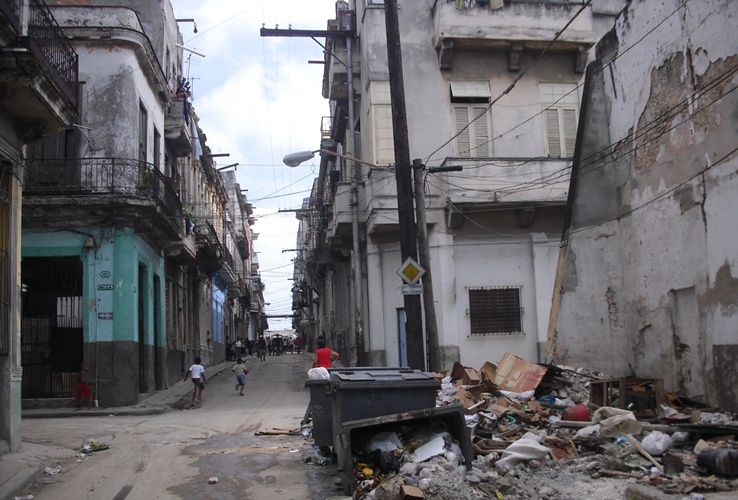 In fact, the process of “Communist Pioneerization” has degraded over the last 30 years, through the generation gap between Cubans born just before or just after the establishment of the Castro regime, and the guerrilla caste of the Moncada barracks attack, the Granma Yacht and the Sierras, and those in the wake of the growing disenchantment that occurred basically from May 1980, following the events at the Peruvian Embassy and the Mariel Boatlift. The “Revolutionary” romance had ended, and in consequence, the conscience of tens of thousands of Cubans gradually began to become independent of the official discourse, while publicly expressed attitudes continued to respond to the call of the government. 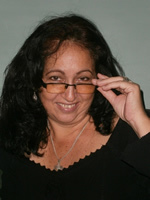 Thereafter, almost every Cuban who deviated from the Castro creed began to wear two faces and to hold two, opposite, moral standards: a “real” one, for private life with family and close friends; another “false” one, to blend into the labor collective and into society (in “the mass”) and to keep themselves safe from reprisals and accusations. Finally, there are the children who wear the bandana of “Pioneers-for-Communism-we-will-be-like-Che” even a few days before emigrating with their parents in search of a freedom they don’t find in their own land. And with this practice, for one generation after another, we have inculcated lying and hypocrisy in our children as values for facing life. Maybe that’s why hearing my grandson recite the stanzas of that bad versification left me cold. However, quick as a flash I thought of a solution when, surprised by my silence, my little boy asked me, “Grandma, why are you quiet? Don’t you like poetry?” “No, but I know many nursery rhymes prettier than that. Let’s make a deal: I’ll teach them to you.” He was delighted. I also know the power of verses, but not to indoctrinate, rather to enrich the soul, to make us free. We’ll see which verses better calm the spirit of my boy, but I’m inclined to think they will be the ones I recite. It was Saturday morning at ten-thirty, and was out with my oldest grandson. 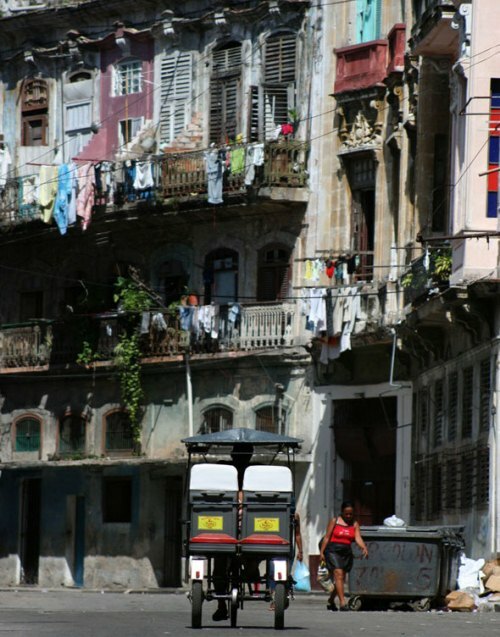 I was driving our old little car down a street in Central Havana as we turned a corner and I had to stop. On the left side of the street, a van parked at the curb was taking up a lot of room, while in the left lane, in the middle of the intersection, a young man was having an animated conversation with a girl, blocking my way. Since I thought that maybe they were too absorbed in their talk to notice that I wanted to proceed where they were standing, I blew the horn once. The young man glared at me, clearly annoyed at my interruption and immediately, without moving an inch, continued with his talk. I insisted then, blowing the horn once again, and he turned to me, gesticulating angrily, and cursing me out. His face was irate, and, to my surprise, he challenged me to get out of the car. I didn’t even have time to be scared and couldn’t believe such an irrational and unexpected situation. My grandson was terrified, pressed against the back seat, while the girl tried to grab the young man by the arm, in an effort to get him over to the other sidewalk. I finally had enough space for my little car to move and continued on our way. If the girl had not intervened, the young man would have hit me, even with my grandson watching. I would have been helpless in the middle of the street. “Grandma, who was that man? Why did he want to hit you?” The kid asked, still overwhelmed by the event. “I don’t know who it was. I’m sure he was a little crazed and mistook me for someone else.” I did not know how.to explain to my grandson why a 20-something total stranger had become so violent in a matter of seconds when I had not offended him at all and he did not have the slightest reason to act in such a way. 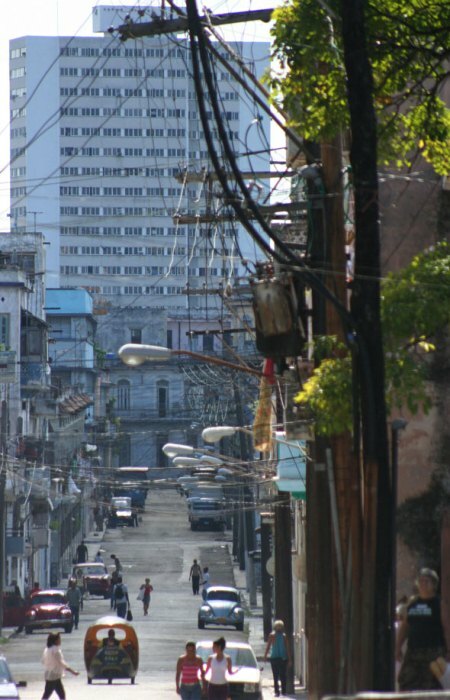 Nor could I explain to him that the brief episode was just a sample of the level of violence that is reaching Cuban society, particularly in the capital, manifesting itself in an increasing spiral of aggression between individuals and groups for the most insignificant reasons, most often without any reason. Almost every day one hears of assaults, burglaries, knives fights, murders. The news of the attacks seem endless and events happen daily and in the most dissimilar places. Recently, a woman was beheaded by a subject in a moving public taxi in a Vedado-La Palma route in the presence of other passengers, including a child. A few days ago, three men were attacked by a youth gang in Mulgoba, In the Boyeros area, leaving one dead of a stab wound and another one hurt of several fractures as a result of the beating. At a bus stop, a young man mortally stabbed a family man who was out with his wife and children, simply because the victim claimed his place on line, which happened to be just in front of that of the attacker. Another bus driver was assaulted by a passenger who refused to pay his fare, and had to be helped by another driver of a bus that stopped at the same bus stop. Another bus driver from Guanabo was also attacked with a knife by an irate passenger who did not want to pay for his fare. The driver had to stop at the village clinic for treatment. It is a fact that buses are potentially among the most prone to violence in the capital. The list of violent events becomes endless and it’s growing. 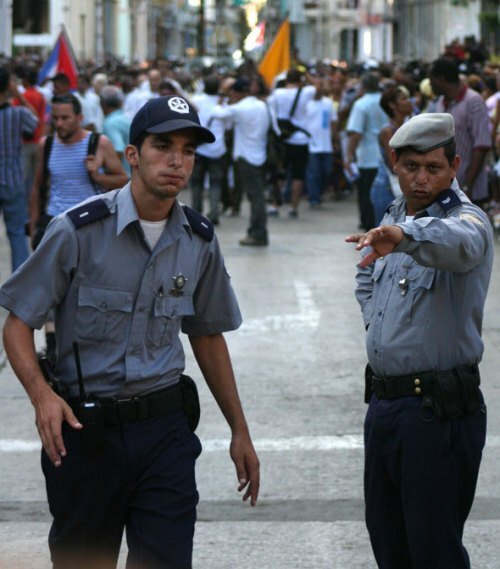 One could almost say that each municipality in Havana is competing for the highest crime rate and, unfortunately, they all seem determined to reach the first place. At the same time, the impunity of criminals and the police inaction are staggering, so the feeling of insecurity among the population is intensifying. Many people say that they fear going out because of the possibility of becoming victims of the violence that has become commonplace. Testimonies of knife assaults abound. It would seem that the law of the jungle has descended on our streets and that the strong and warlike elements are taking over, displacing decency and imposing terror among peaceful people. The accumulation of frustration, poverty, marginalization and lack of a social project that would afford the population a modicum of prosperity, coupled with widespread corruption, even the very law enforcement for public order favor the emergence of the worst scenarios in a nation already marked by polarization, deep social differences and exclusions. Marginal sectors, increasingly prone to violence, are marking the symbol of the system’s social decay, pointing to a spiral of unpredictable consequences if the situation doesn’t get under control. There are already decent people who have made the decision to acquire self-defense weapons of various origins and nature to defend themselves in case of aggression, whether in the streets or in their own homes. Violence as protection against violence, violence in response, as social code. I can’t think of anything worse that could happen. The authorities are clueless. The official press continues its praises of the system, depicting an imaginary Cuba where only flourishing cooperatives exist, model hospitals where the best specialists in the world save the lives of children and all the sick poor people that in other countries would not stand the slightest chance to survive or to undergo surgery, or where schools are getting ready for the start of a new year which, incidentally, future criminals will also attend. Because this is also a revolutionary achievement: there might be many illiterate delinquents in the world, but not a one of them is Cuban. I have not heard of any of these violent acts where the police have had an important role, protecting “the public” or capturing the wrongdoer. In fact, right now I can’t recall a single event in which the police have been even near the conflict. Most of the evidence I have collected reflect the tremendous distrust and suspicion of the population in relation to the euphemistically called “law enforcement”. Chances are that while the crimes are taking place, uniformed law enforcement entities may be supporting agents of State Insecurity whose job seems to be cracking down and trying to uselessly intimidate peaceful opponents, with that other form of selective violence, and making use of police vehicles not in the pursue of muggers and troublemakers who sow fear in society, but to carry away those who are dreaming of and working toward a better Cuba. However, it appears that in a few years we will have more scientists in the Ministry responsible for these matters of internal order. This Sunday September 1st, Juventud Rebelde published a report (Orgullosos de servir a la sociedad, by Ana María Domínguez Cruz), which reported that students from the thirteenth detachment of cadets of the Ministry of the Interior (MININT) composed of 400 young people across the country of which 250 belong to districts in the capital, have served their period of “preliminary military training” before being injected into university careers, such as Journalism, Psychology, Law, Computer and Medical Sciences, among other specialties not related to Agronomy or any of the technical schools or offices the General-President so much endorses as the most necessary for the country. With these cadets, states the report, “the ranks of MININT will be fed by educated and committed professionals”. We already know on which side the commitment rests. There is nothing to hope for. The press does not reflect what is happening in Cuba in real life: Everything seems to be fine with the country and the news about the assaults and crime is no more than rumors of those who want to damage the revolution’s image and create an opinion state that is adverse to the system. Everything indicates that the blue-uniformed police are not going to be more efficient and are not going to improve the social order and public peace, but we are certainly going to have more well-educated and learned MININT with the assigned task of pursuing and harassing anything that threatens the political power. That’s too bad for everyone.